A South Florida doctor is under arrest, accused of drugging a woman's drink. 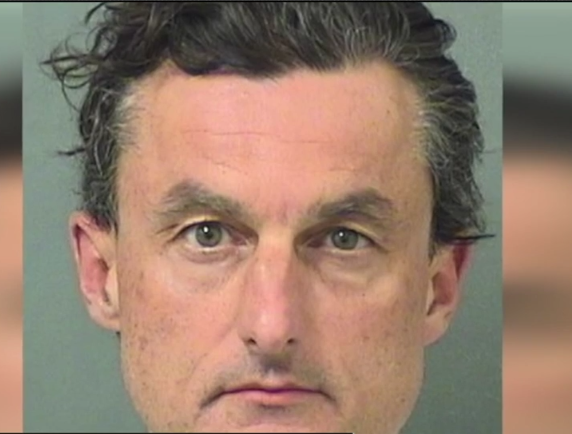 According to Boca Raton police, a customer said she saw Mircea Morariu pour a powder-like substance into a woman's drink while she was in the bathroom at Ouzo Bay, a restaurant at 201 Plaza Real, on Sept. 10. "Again, a lot of people would have probably poured that drink out. Our staff is told not to pour that drink out, keep it, so they can test it," said Eric Smith, managing partner of the Atlas Restaurant Group, who owns Atlas. "We also went upstairs, checked our cameras, saw that there was evidence he had done something of this nature." Police said they found a clear plastic bag containing a white powder residue in a trash can in the men's bathroom. They said tests showed the bag contained Zolpidem and Alprazolam, commonly known as Xanax and Ambien. He was arrested at The Woods', the restaurant in Jupiter belonging to Tiger Woods.